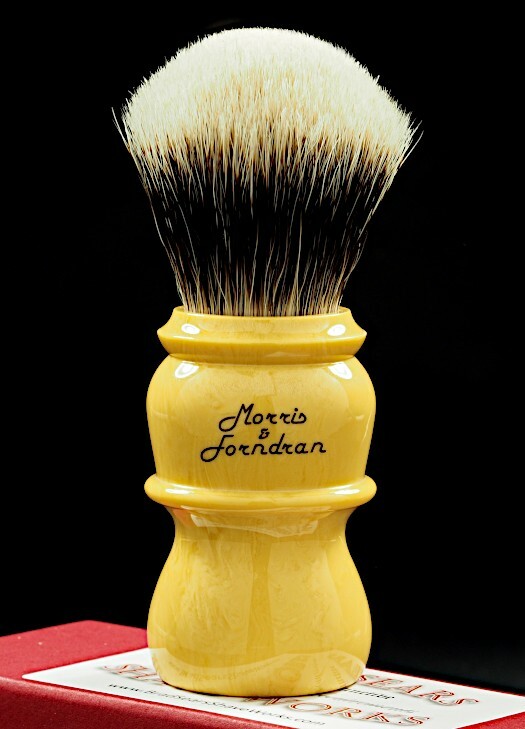 A customer cancellation, this 28mm Blonde Badger L7 is now available in The ReadyMade Collection. That antique ivory resin is beautiful. I haven't seen anything like it before. (04-01-2019, 10:04 AM)TheLegalRazor Wrote: That antique ivory resin is beautiful. I haven't seen anything like it before. Thanks. I like to think of it as a slightly lighter version of Lee’s Butterscotch with Ivory veining. It took a bit of doing to get back in stock; but we’ve now got a decent supply. I hope to see some pictures post bloom. Thank you to purchaser who save me from myself. Don't know how I was going to resist a Blonde badger in Antique Ivory.